Everything was perfect. Very happy with this! Alloggio pulito, confortevole. Personale disponibile e veloce. Everything was handled efficiently and effectively. Fantastic! Very clean, enough space for us all. This beautifully decorated, colourful apartment is a real home from home. Bright and spacious, it has three bedrooms and can easily accommodate five people. There is a spacious, fully equipped kitchen, a lovely living-dining room and a clean modern bathroom. The apartment comes with all that you may need during your stay: bed, Internet and TV to name but a few. 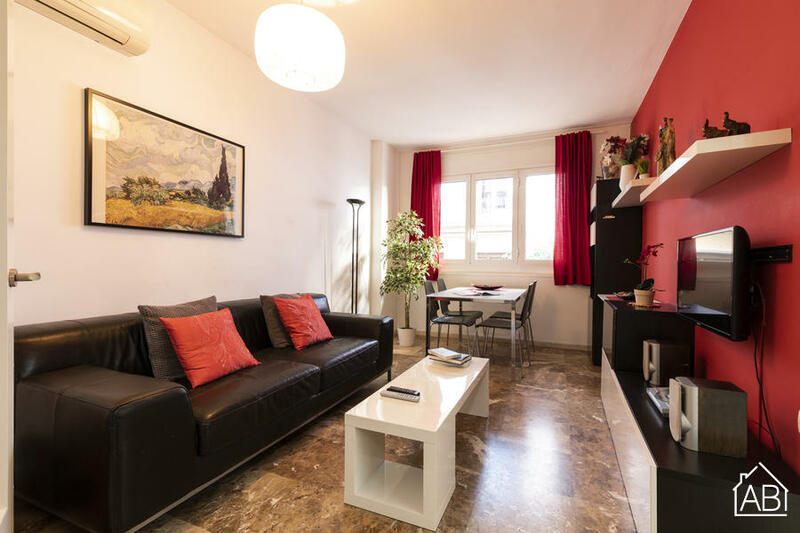 Located in the chic and exciting neighborhood of Eixample there is plenty to see and do nearby. With endless shops, bars, cafés and restaurants and good transport facilities in the area this is an amazing place to call home during your stay in Barcelona.